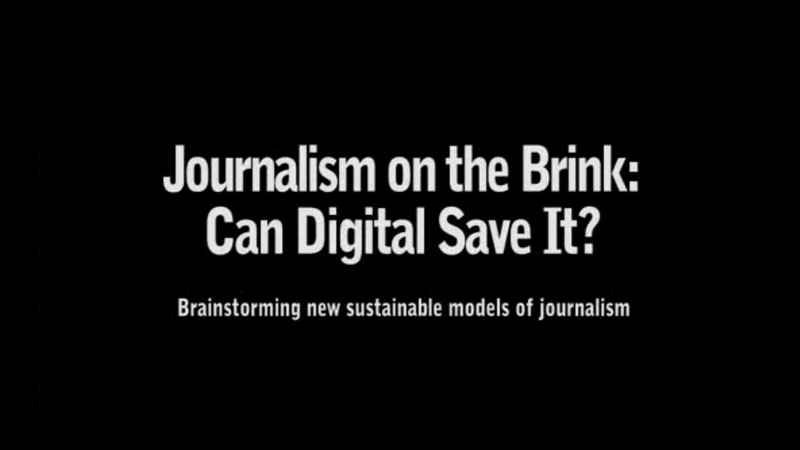 Journalism on the Brink? Can Digital Save It? Was moderated by Hanson Hosein, a former Emmy Award-winning NBC journalist and now the director of the Master of Communication in Digital Media (MCDM) at the University of Washington. Ross Reynolds, host of KUOW’s The Conversation and a researcher on public radio as a viable business model. On Jan. 15, the eve of the inauguration, MCDM sponsored a an engaging conversation on how President Obama used digital media to devastating effect in the 2008 election. Facebook. Twitter. Mybarackobama.com. Text messaging. How did he do it? What strategic lessons can we learn from Barack Obama’s high-tech campaign? How might he deploy this online army of millions to govern? And does President Obama’s historic rise to the White House also propel social networking into the mainstream? The answers to these important questions have a profound impact on the very near future of our democracy, as well as how we organize, communicate and even do business in the digital age. At the end of 2008, The Common Language Project was the focus of a free, MCDM-sponsored workshop, “Media in Crisis: The Journalist as Entrepreneur” to welcomed all students, faculty and the public, including assignment editors from local media, to discuss realistic freelance expectations and the latest opportunities. The Common Language Project: Three 20-something Seattle-ites have decided to skip the coffee-fetching internship positions and go straight into the journalism profession: by raising funds to report on under-covered stories around the world. They present an exciting new business model to future journalists and storytellers. How do they get paid? What are the copyright issues? How do they persuade established news organizations to acquire their content? How do they manage logistics on the ground in far-flung places? What are the best tools for this kind of work? How do you report for print, radio, and online all at the same time?